Hiya! Haven't been blogging much lately; not much to share - not enough hours in the day! 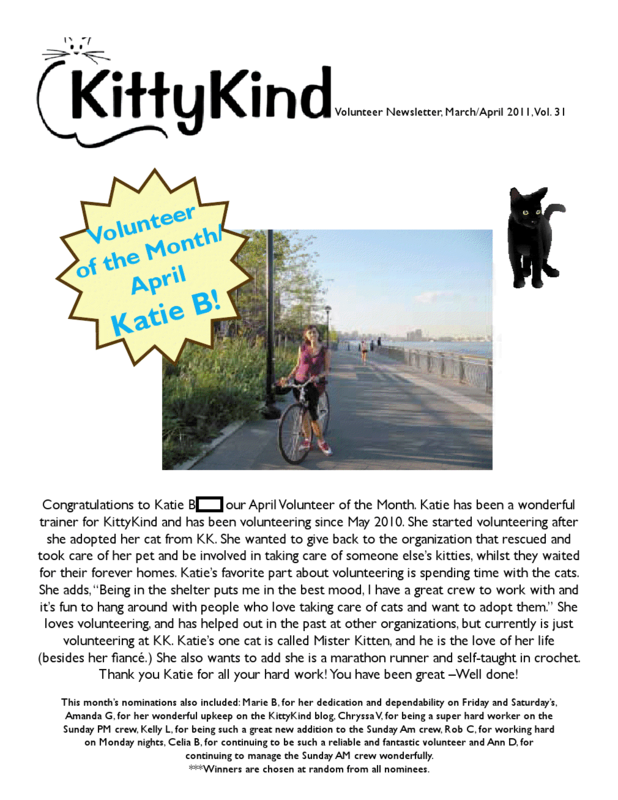 I did get the honor of Volunteer of the Month at my cat shelter. Heh. Thought I would share. Hopefully crochet something fun for you soon! !